A High Court judgement on 21 August set a president affecting all developers and purchasers of newly developed properties, especially the large estates forming on the urban-edge areas. In the matter of Aquavista Investments versus the City of Tshwane, Henri du Toit from Bronkhorstspruit took the metro council to court about its double billing of rates. Henri won the case and the judge awarded punitive legal costs against the city. “The City of Tshwane routinely bills property developers with rates on both the undivided land and on the portions to be divided from that land separately. This amounts to a double billing of rates that is illegal, but it is enforced by the city refusing to issue clearance certificates,” Henri said. According to Henri, property developers are faced with the embarrassment of not being able to pass transfer of portions sold, or to engage with the city in a lengthy costly legal dispute. “The High Court dealt with this practice in the recent decision of Uniquon obtained against the City of Tshwane in which it declared it to be illegal. However, despite the adverse court order the city is still pursuing this practice and now it seems that every developer needs to obtain an individual court order against the city,” he said. Henri is a retired magistrate and a community activist. He is the chairman of the WeCanWin Initiative that headed the community’s opposition to the vacant land rates dispute which lead up to the landmark Lombardy’s judgement in the High Court. In this judgement the city's supplementary valuation rolls, which introduced these rates, were set aside with wide-ranging financial consequences for the City of Tshwane. 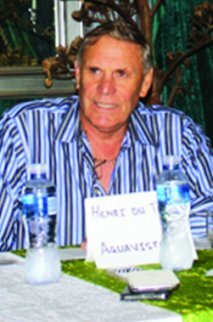 Henri is also on the Tshwane Money Matters Caucus team which drives the community’s opposition to the re-categorisation of agricultural properties as residential properties so as to increase rates on urban-edge and rural residents by more than 400%.